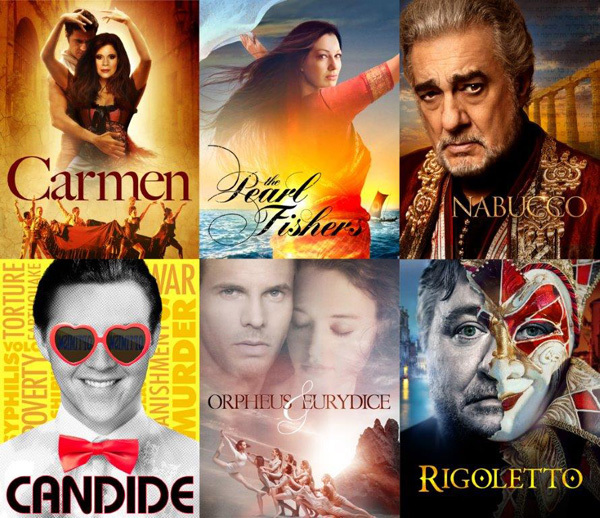 General Director Placido Domingo has announced the repertory and artist roster for the companys 2017/18 season. It will include six mainstage productions presented at the Dorothy Chandler Pavilion and additional performances presented in four different venues though the companys Off Grand initiative. The company will also present two concerts at the Pavilion, including a gala celebration marking the 50th anniversary of Domingos first performance in L.A.
CARMEN, Sept. 9-Oct. 1, 2017. The production, new to L.A., will include Ana Maria Martinez in the lead role, plus Alexander Vinogradov as Escamillo and Amanda Woodbury as Micaela. James Conlon conducts; Rob Ashford directs and choreographs. THE PEARL FISHERS, Oct. 7-28, 2017. Placido Domingo and Grant Gershon will each conduct performances of this rarely seen opera, directed by Penny Woolcock. In the cast are Nino Machaidze, Javier Camarena and Alfredo Daza. NABUCCO, Oct. 14-Nov. 19, 2017, in a production new to L.A. Domingo sings the title role of the monumental opera that made Verdi famous. Thaddeus Strassberger directs a star-studded cast: Liudmyla Monastyrska (in her LAO debut as Abigaille), Morris Robinson and Mario Chang. CANDIDE, Jan. 27-Feb 18, 2018, in celebration of the composer Leonard Bernsteins 100th birthday. Conlon conducts the production by Francesca Zambello. The lead singers are Jack Swanson and Erin Morley. ORPHEUS AND EURYDICE, March 10-25, 201l8. John Neumeier directs, designs and choreographs this new production of Christoph Willibald Glucks influential masterpiece. James Conlon conducts. Dancers from the Joffrey Ballet are featured, along with singers Maxim Mironov and Lisette Oropesa.